After reading Richard Langworth’s praise in his Connoisseur’s Guide to the Books of Sir Winston Churchill, I acquired the Sphinx edition of The Second World War. Entitled simply MEMOIRES, this is surely the most elaborate edition in French. The text is from the first French edition by Plon (Paris), but it is in fact Belgian. The publishers, Éditions Le Sphinx, Brussels, produced two editions in a variety of bindings. The famous Salisbury portrait is the frontpiece of Volume I. Like the French and English-language publishers, Sphinx first offered the books as they appeared, and later as a set. 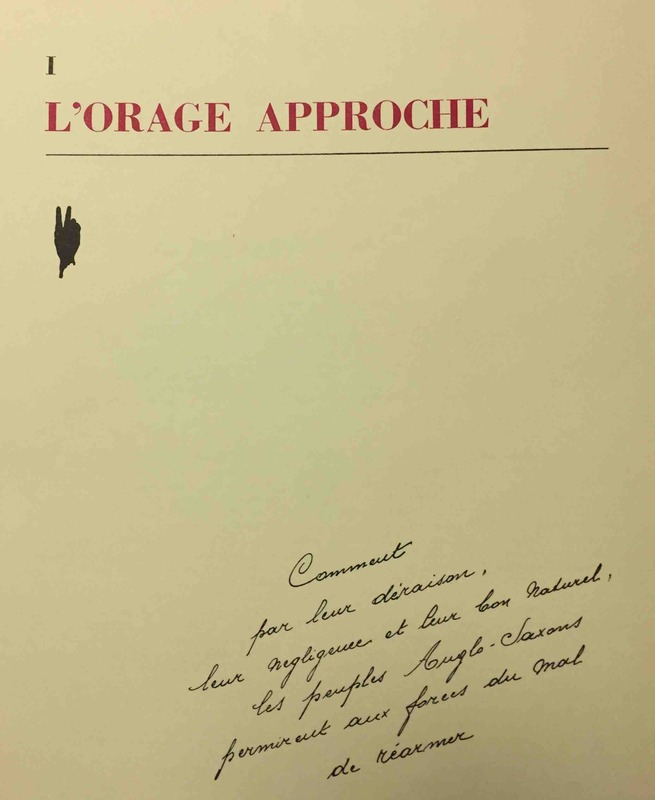 The first volume (1951) contained L’orage approche and L’heure tragique, corresponding to The Gathering Storm and Their Finest Hour. In 1952 Sphinx Volume 2 added the equivalents of The Grand Alliance and The Hinge of Fate. In 1954, a third Sphinx volume contained Closing the Ring and Triumph and Tragedy. 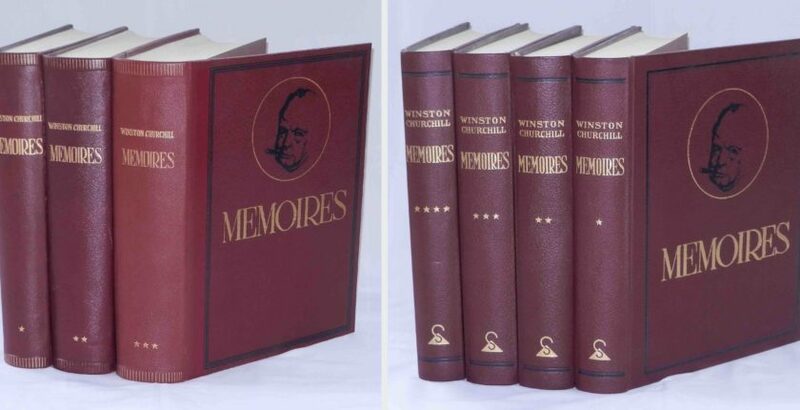 The books are large and luxurious, with heavy paper and thick maroon covers featuring a silhouette of Churchill’s face with a cigar. 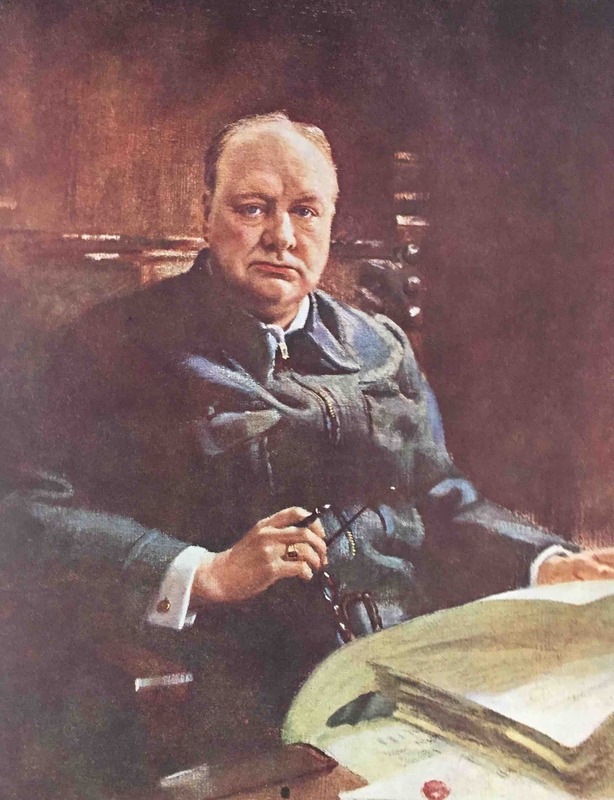 A unique feature of Volume 1 is a color frontispiece of Frank Salisbury’s 1942 portrait of Churchill in his blue “siren suit,” which hangs at Chartwell. There is a marvelous profusion of large-format halftone illustrations, including some very special ones. For example, there is a fine photo portrait of President Roosevelt inscribed to Churchill which we’ve never before seen. Churchill’s “Theme of the Volume” is nicely presented. Hundreds of illustrations and heavy paper make for unwieldy books of 521, 707 and 767 pages respectively. The set was also offered in cloth bindings, but colors are difficult to describe, given the varying effects of light over the years on died leather or cloth. Photographs of surviving sets show that the titling was sometimes misaligned on the spines. This gave them a non-uniform appearance on the shelf—a curious lapse for a deluxe edition. After Churchill’s work was complete, Sphinx produced a new four-volume edition. Presumably, it was less expensive, despite the cost of printing and binding an extra volume. These volumes were issued in three formats: the original-style leather covers with Churchill’s image; in leatherette debossed with “V” signs; and in red or maroon cloth. My own set is the debossed leatherette version. Variant leatherette binding of the 1954 four-volume edition. The gilt front cover title is not the same as the inner (French Plon) title, Mémoires sur la deuxième Guerre mondiale. It reads instead HISTOIRE DU IIeme CONFLIT MONDIAL (History of the 2nd World Conflict), with the subtitle, MEMOIRES DE WINSTON CHURCHILL. In clothbound versions, the color frontispiece is omitted. Dividing the work into four volumes makes for easier handling at 510, 526, 502 and 447 pages respectively. Churchill’s original twelve “books” or parts are broken down into four groups of three to comprise the whole . 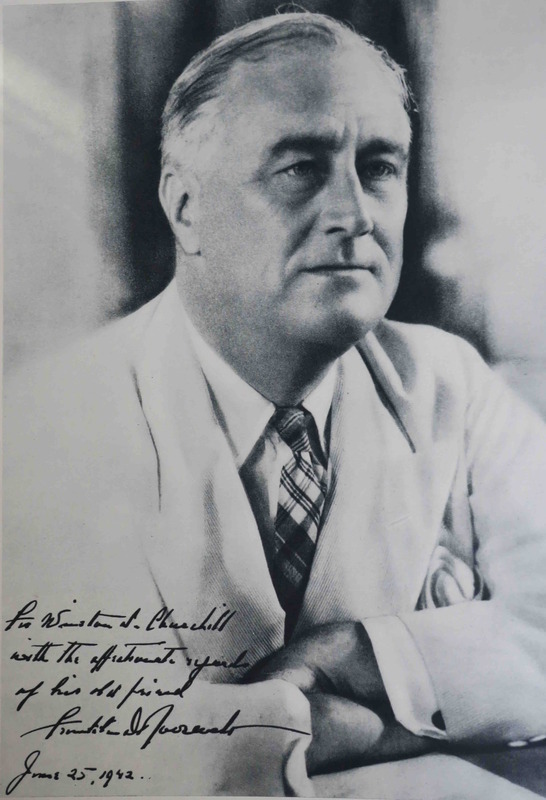 Roosevelt presented Churchill with this fine inscribed photo in Washington during a low point in the war, as news broke off the fall of Tobruk. Despite this calming statement, the Sphinx edition retained the original French text. 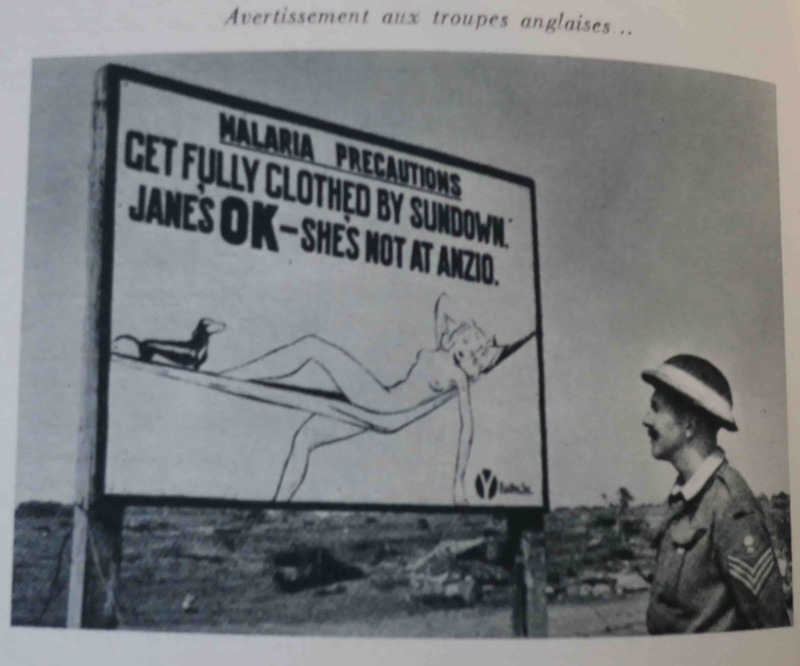 It was less an editorial decision than sheer practicality: Sphinx had purchased a text supplied by Plon. 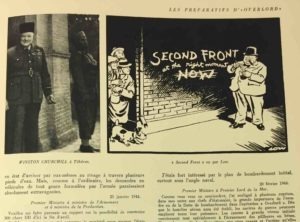 Neither did the Brussels publisher offer maps of Belgian operations—maps are from the American edition. Indeed, aside from their fine bindings, the only “Belgian dimension” of the Sphinx volumes is their unique set of illustrations. Some I have seen nowhere else. Examples are photos of “a Belgian tomb somewhere in France,” and “a Belgian soldier being treated in an English hospital.” Churchill’s daughter Mary appears with Anthony Eden in Berlin in a photo we’d not encountered before. 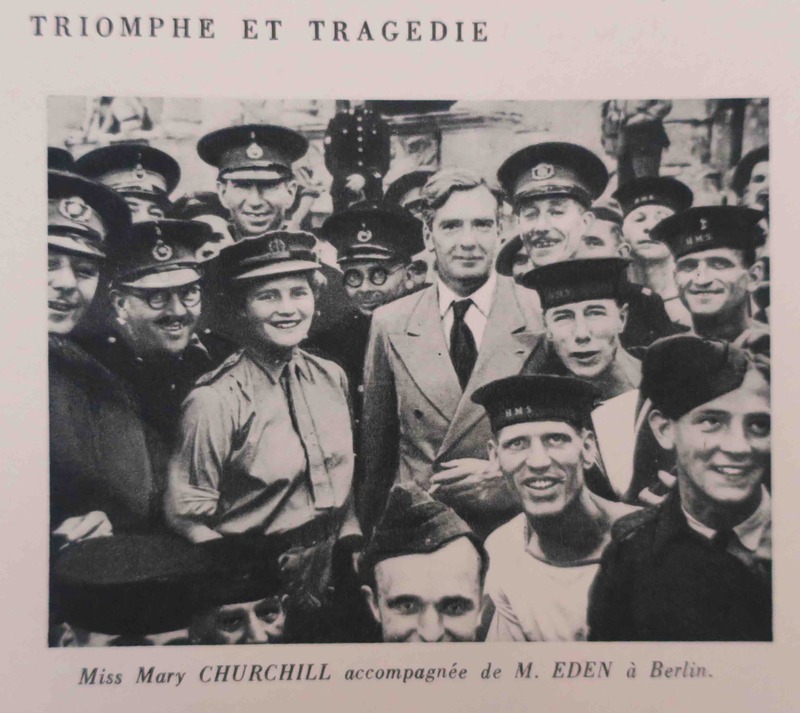 Mary Churchill, acting as aide-de-camp to her father, with a jubilant Anthony Eden on a visit to Berlin before the Potsdam Conference, July 1945. 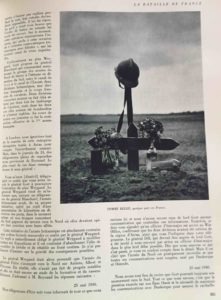 The photo selection confirms that the Brussels editors of Éditions Le Sphinx thoroughly understood how Britons experienced the war—so vividly narrated by Churchill, at least in its more serious aspects. All this makes the books very valuable as a reference to times long gone. The volumes are well worth owning in either edition. And like Hillsdale’s The Churchill Documents, they are not books you should drop on your feet. 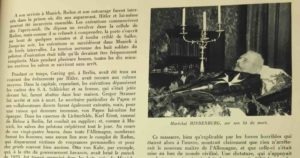 Hindenburg lies in state as Hitler solidifies power in Germany, from a section of Churchill’s first volume subtitled “Le ciel s’obscurcit (The sky darkens). 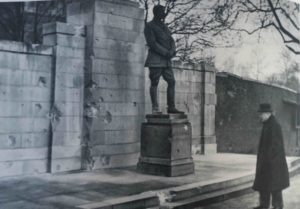 The storm breaks: Churchill inspects the statue of Kitchener, his one-time Army commander and colleague in the World War I cabinet, for bomb damage during the London Blitz. 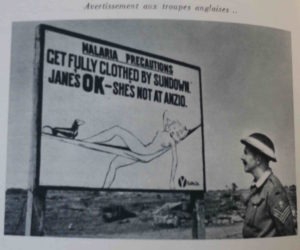 One of the many photos, not appropriate in a more sensitive age, a vivid health reminder about malaria precautions to the soldiers at Anzio. The Teheran Conference explored the fraught question of when the Anglo-Americans would launch the Second Front. Sphinx shows us WSC in local headgear, and a David Low cartoon expressing his view of the timing. 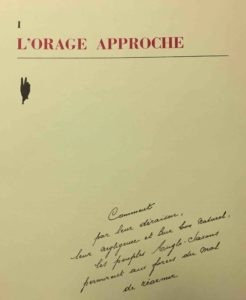 1 The Sphinx second edition contains three of Churchill’s original “books” or parts in four volumes as follows: Volume 1: L’orage approche (The Gathering Storm), books 1 and 2 and L’heure tragique (Their Finest Hour), book 1. Volume 2: L’heure tragique, book 2 and La grande alliance (The Grand Alliance), books 1 and 2. And Volume 3: Le tournant du destin (The Hinge of Fate), books 1 and 2 and L’étau se referme (Closing the Ring), book 1. Volume 4: L’étau se referme (Closing the Ring), book 2 and Triomphe et tragédie (Triumph and Tragedy), books 1 and 2. 2 Richard M. Langworth, “Feeding the Crocodile, Belgium, 1940: Was King Leopold Guilty?” Hillsdale College Churchill Project, 13 October 2017. 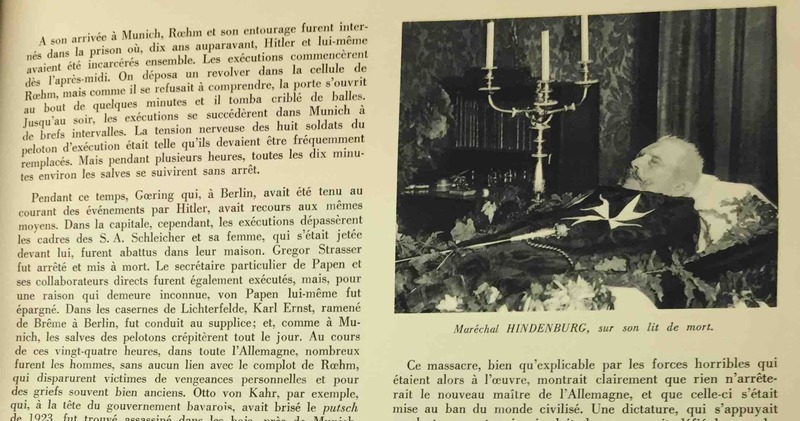 4 François Kersaudy, the prominent French Churchill scholar, offered a much-improved revised translation in 2009-10 (two volumes, Paris: Éditions Tallandier) – but only of the 1959 abridged edition, which does not cover the controversy over King Leopold. Antoine Capet, FRHistS, is Professor Emeritus of British Studies at University of Rouen, France. 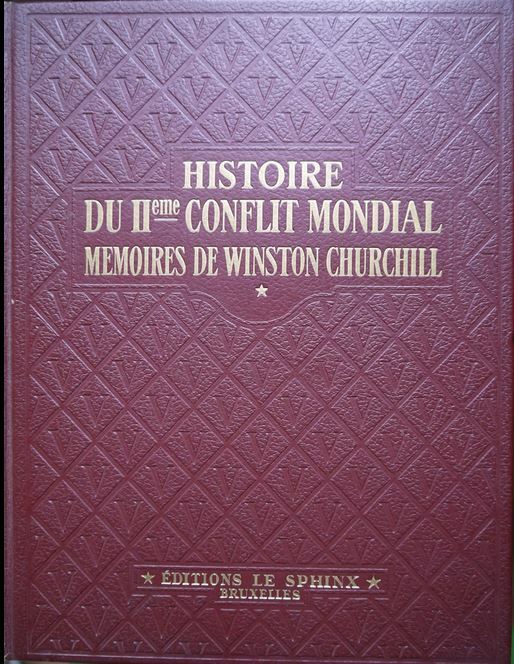 He is the author of a new reference work, Churchill: Le Dictionnaire. 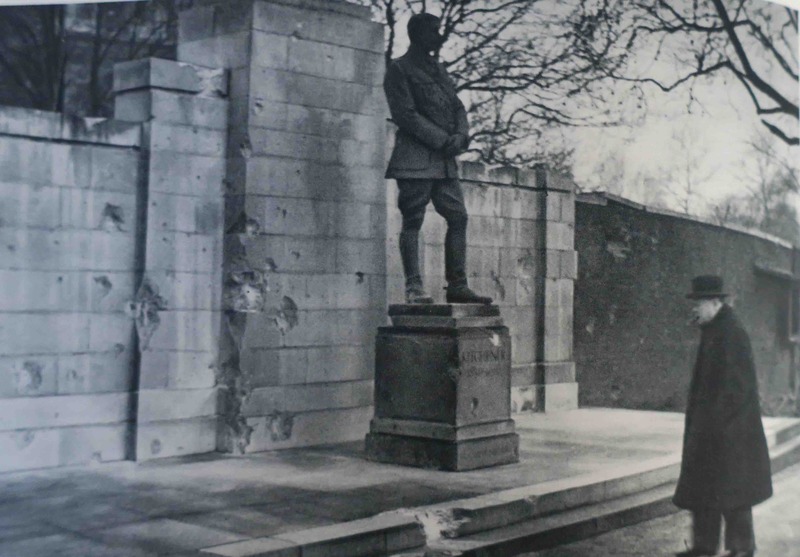 Our thanks to Ronald I. Cohen for making available the volumes in his collection, and Mark Kuritz of the Churchill Book Collector for the photography.